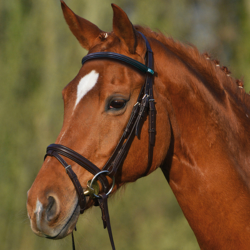 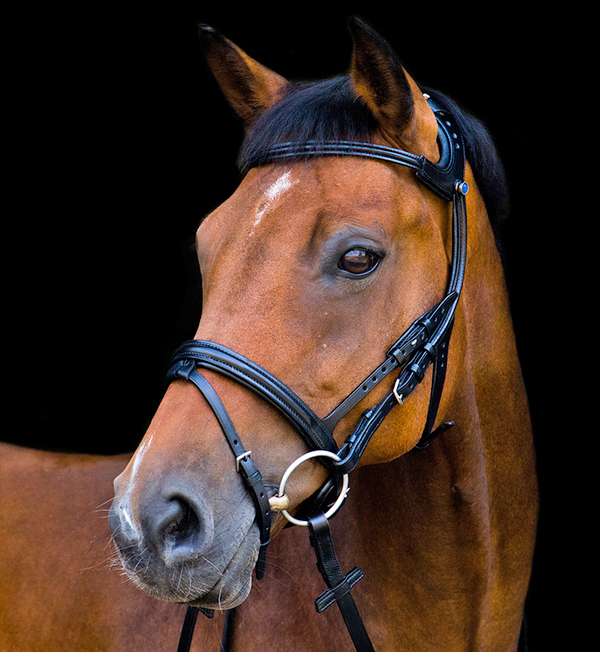 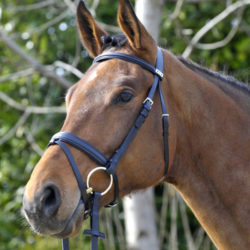 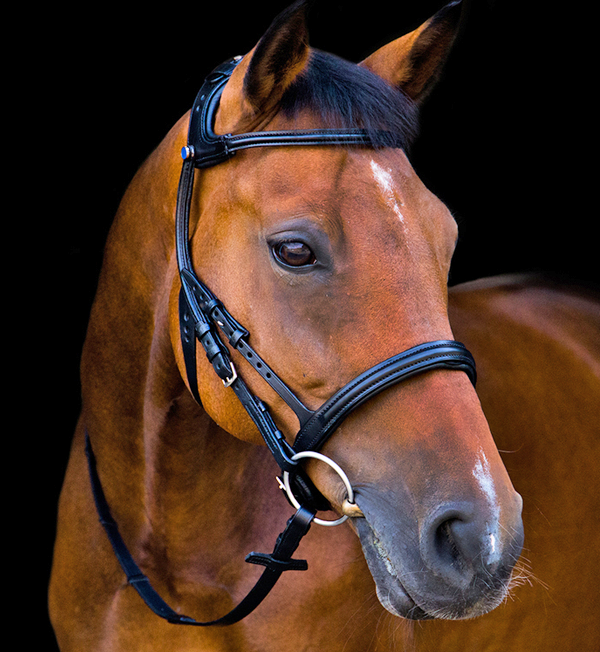 This unique Stübben bridle respects your horse’s anatomy and biomechanics. 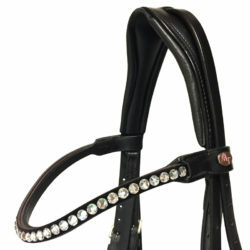 The hinged cheek pieces allow for a wider field of vision while the headstall and brow band clear all sixteen ear muscles. 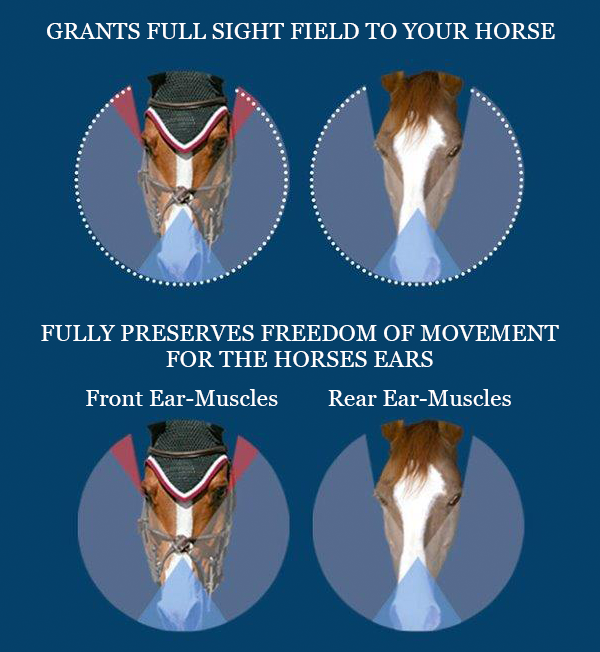 No pressure is exerted on any nerves or veins providing free movement of the ears. 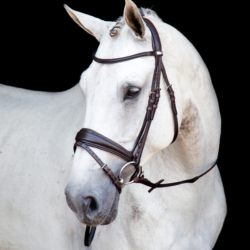 The special position of the headstall and throat latch keep the horse‘s sensitive areas in the neck and the throat free from pressure also. 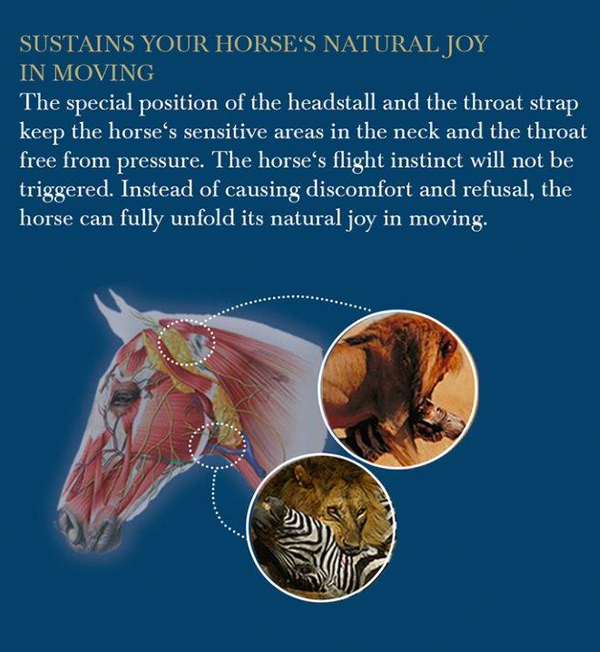 The horse has the opportunity to fully unfold its natural joy in moving. 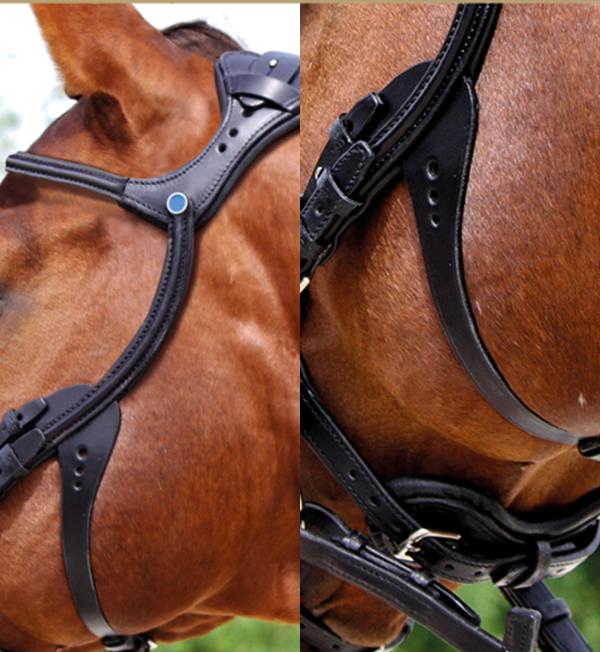 Comes standard with Stübben’s innovative removable flash system.